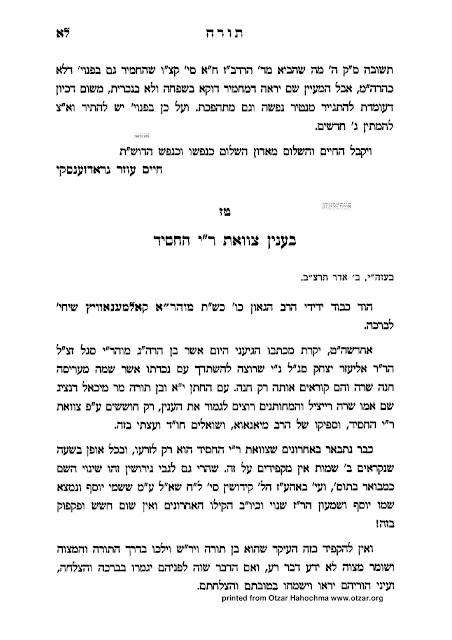 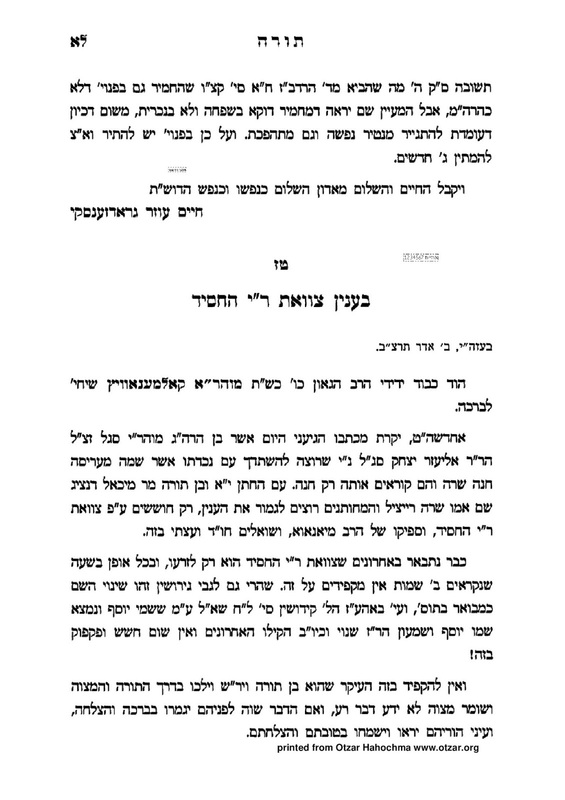 Below are the texts for the shiur. 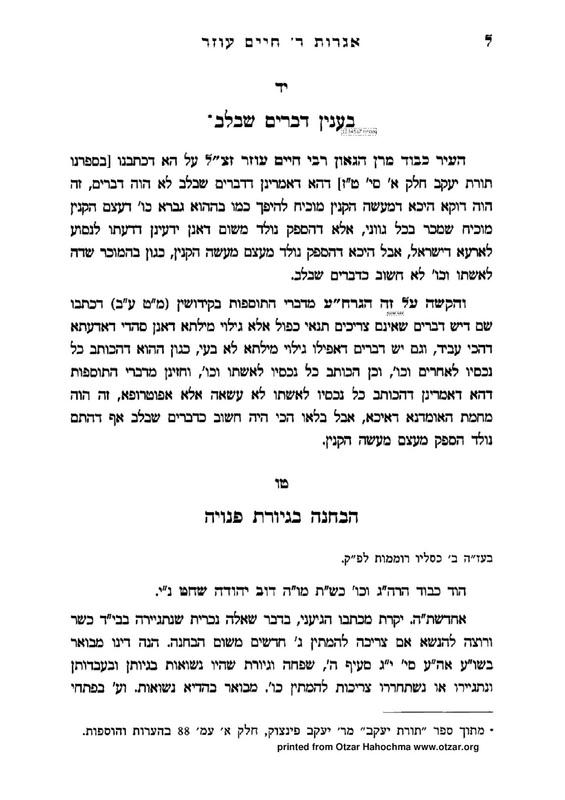 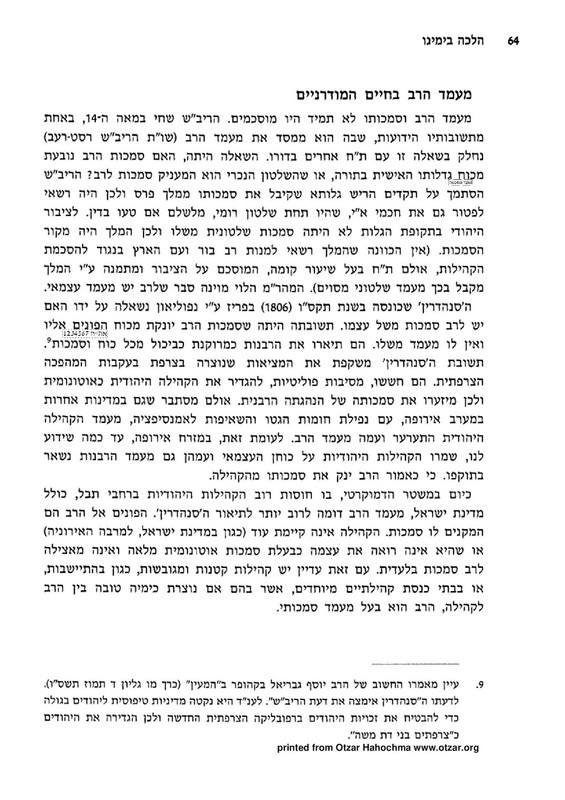 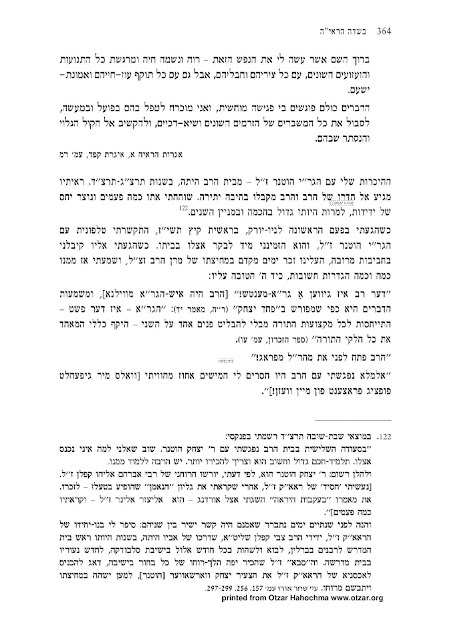 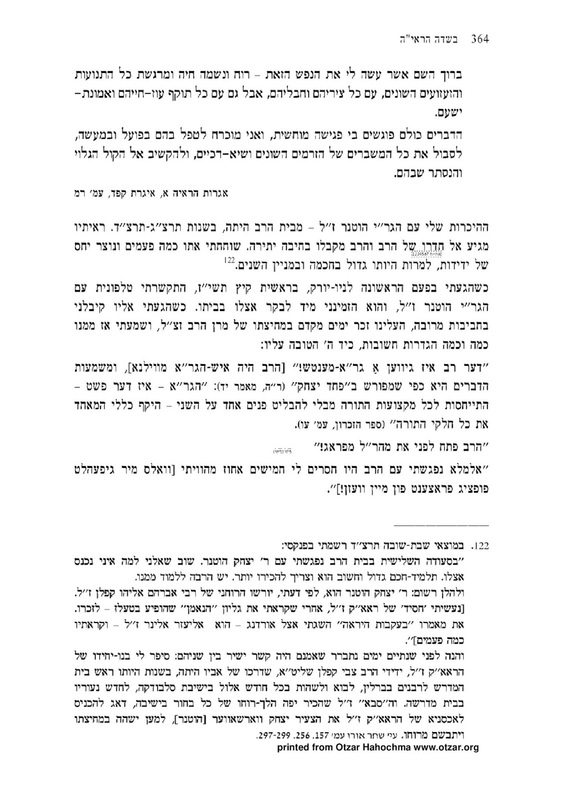 Leaving alone the issue of dina d'malchusa in Eretz Yisroel, this is an extremely important statement with far reaching ramifications. 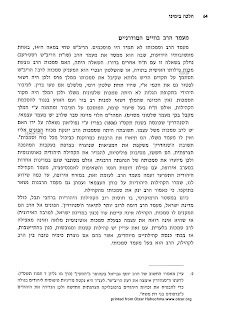 It means that any civil issue that a governing Beis Din would have to regulate - in the absence of such a Beis Din, the civil authorities have jurisdiction. 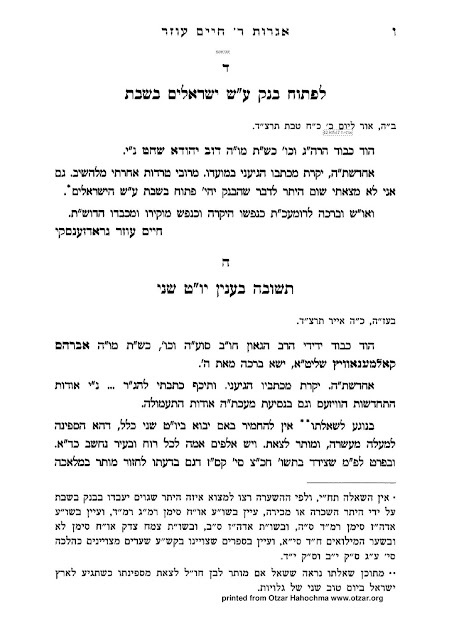 Accordingly, for example, no prohibition on ercha'os would apply to such issues. 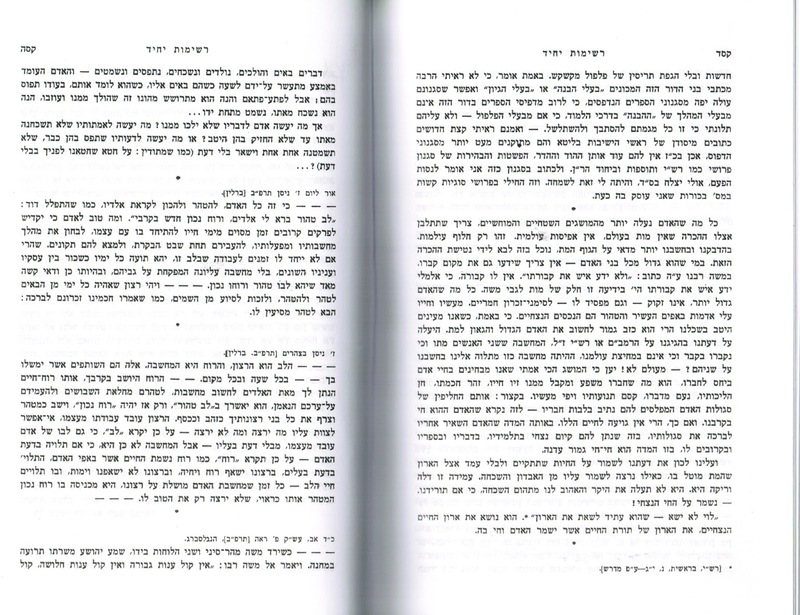 see the footnote (from Rabbi Neriah's diary, 1934). 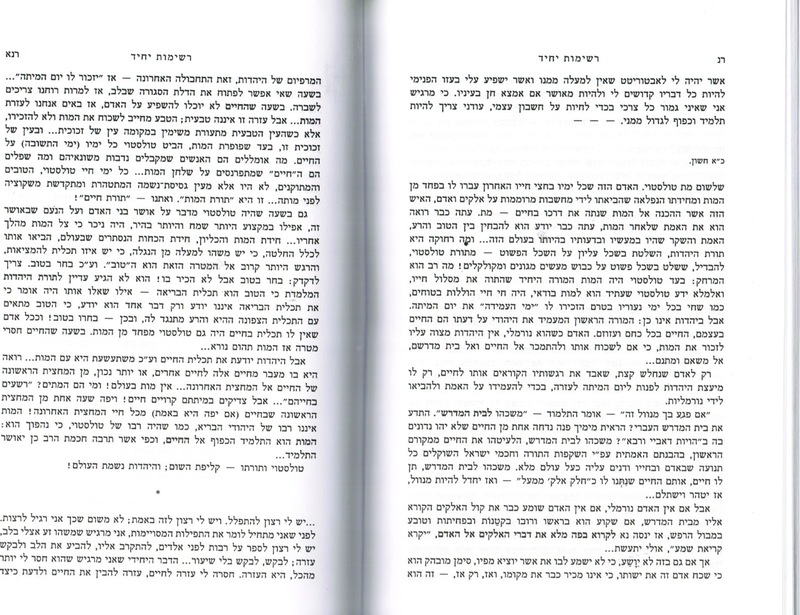 I have the original letters since I received them many years ago while learning at Sha'alvim. 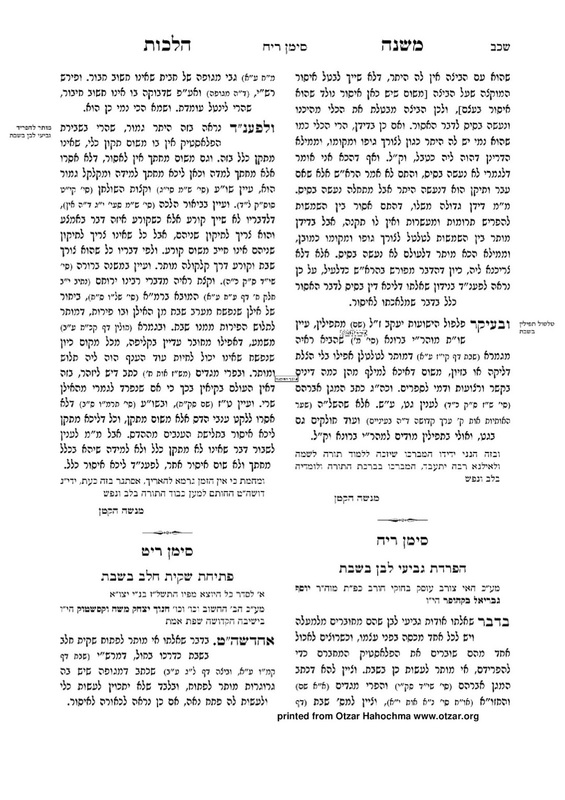 I only learned yesterday that they were actually printed in the Mishneh Halachos! 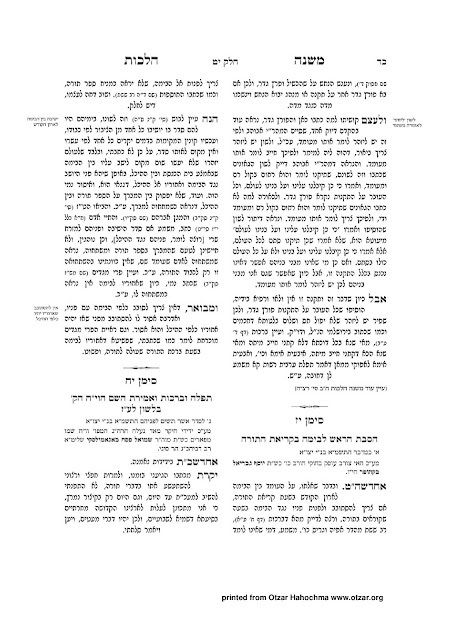 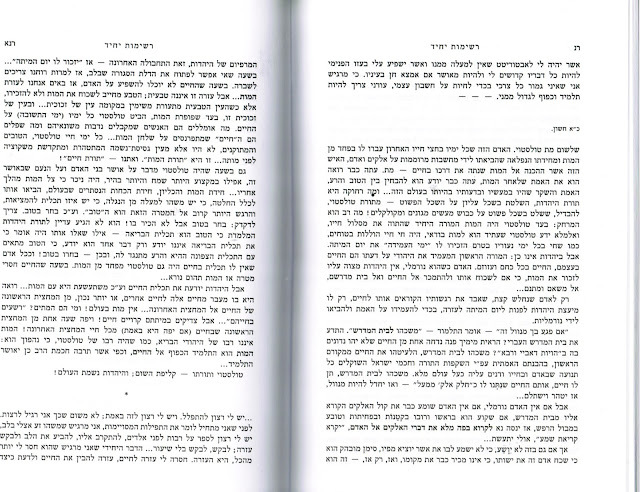 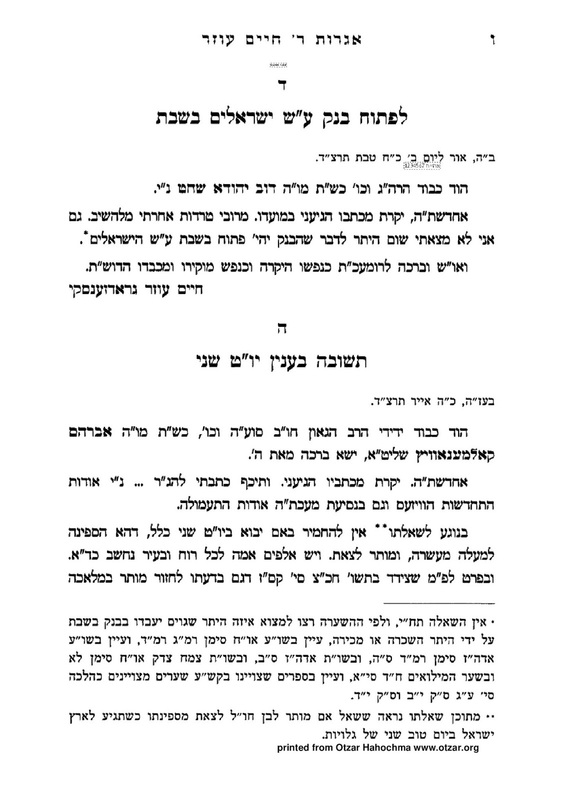 These letters were initially published by my uncle, Rabbi Ezra Schochet shlita, in the kovetz of Yeshivas Ohr Elchonon. 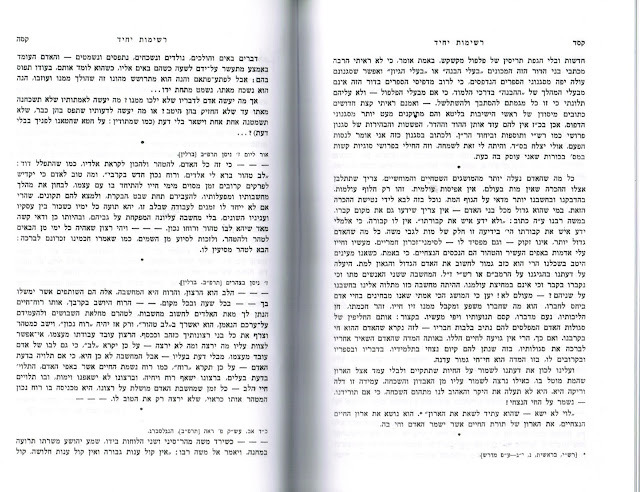 These copies are from Igros Reb Chaim Ozer.